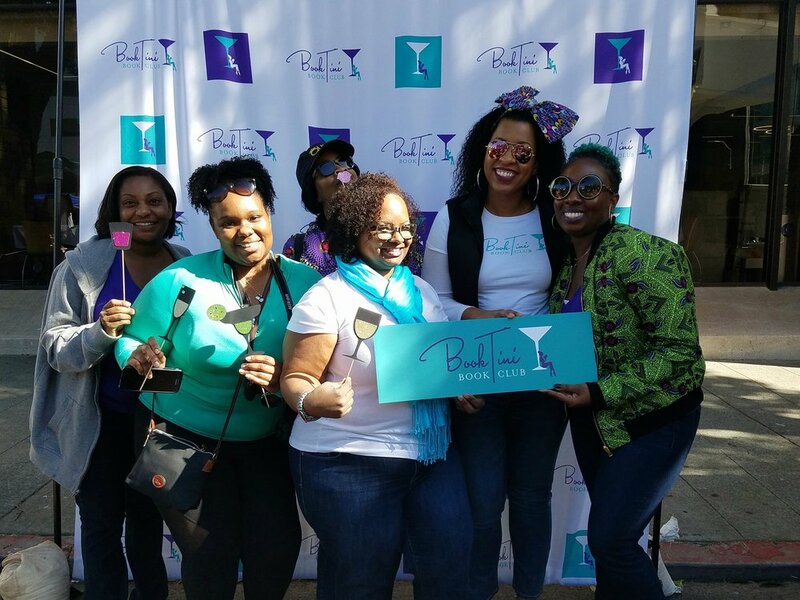 On February 25th, BookTini's northern California chapters participated in Oakland's inaugural Black Joy Parade and festival. Members from Oakland/East Bay, Sacramento, Oakland Hills, Uptown Oakland, and Fremont met early to walk, wave, chant, and spread the joy of our literary sisterhood throughout downtown Oakland. Following the amazing parade, members manned our BookTini booth, replete with books from our previous reading lists, book marks, and other booktini promo material. Members and guests also took pictures, socialized, and enjoyed a few goodies. Later that evening, members met at Perch Coffee House for an all chapter Drinks & Discussion featuring our February selection, The Meaning of Michelle, elderflower martinis, and pizza. A great way to close out Black History Month, many look forward to participating next year!